I sadly don’t have a recipe for this – I just used the good ol’ Betty Crocker! 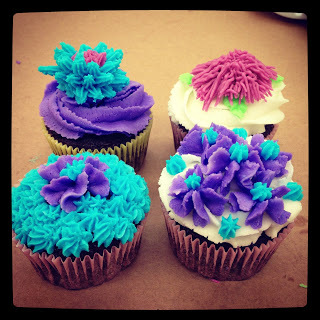 The decorating however was done at my cake decorating class! This was the second class – we were building up to do our final cake(s)! Which is posted in my next post if you want to go check that out! For the icing I just used a basic buttercream icing, but made sure to make it a little more stiff rather than the normal consistency of a icing (so it will hold the decorating).